A woman from the North West accused of conning people out of thousands of pounds of goods including Christmas boxes for children has been reported to specialist fraud investigators. Action Fraud has confirmed it has received reports alleging Kirsty Smith has been scamming people across the country out of money. 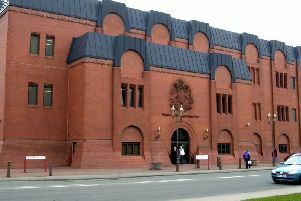 Ms Smith has been accused of using Facebook and selling app Shpock, which listed her location as Standish in Wigan, to offer for sale hampers, boxes of chocolates, sweets and other treats and other craft and gift items. However, dozens of people have now come forward to say they sent her money but never received their purchases, with the total taken believed to be several thousand pounds. Ms Smith appears to have now abruptly deleted her Facebook profile and her Shpock account is also no longer visible. And those who have tried to buy items from her, including parents hoping to treat their children, are now asking the authorities to step in. Dina Sammut, from Plymouth, said: “It’s just really cheeky. It’s not fair and it’s not right what she has done. “If I was to see her right now I would go absolutely ballistic. “One woman said her disabled son was waiting on one of these hampers and now she’s had to try to explain to him he’s not going to get it. “She’s done this to all these people and I think she’s racked up about £5,000. Ms Smith is alleged to have taken deposits for children’s festive boxes which would have been crammed with pyjamas, DVDs, books and chocolates. 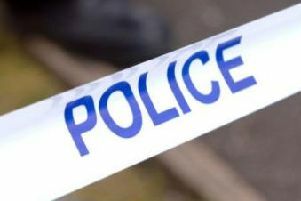 She is also accused of taking in around £700 running a tombola on Facebook before exiting dramatically and quickly from social media around the time the winners were due to be drawn last weekend. In addition the Wigan Post has seen messages shared between Ms Smith’s customers which include allegations she sent out-of-date Maltesers in a gift hamper. A post on social media in which one customer outlined what had happened to her produced more than 200 comments, suggesting there may be scores of people awaiting objects from Ms Smith. Other items she advertised for sale include picture frames containing Scrabble letters. Her customers came from as far afield as East Sussex and Scotland. Action Fraud confirmed Ms Smith had been reported to them on September 23 but it can take up to seven days for allegations to be fully put onto the organisation’s system.